The warm days and cool nights of early spring send Billy Bishoff into the Western Maryland mountains. It’s maple syrup season. 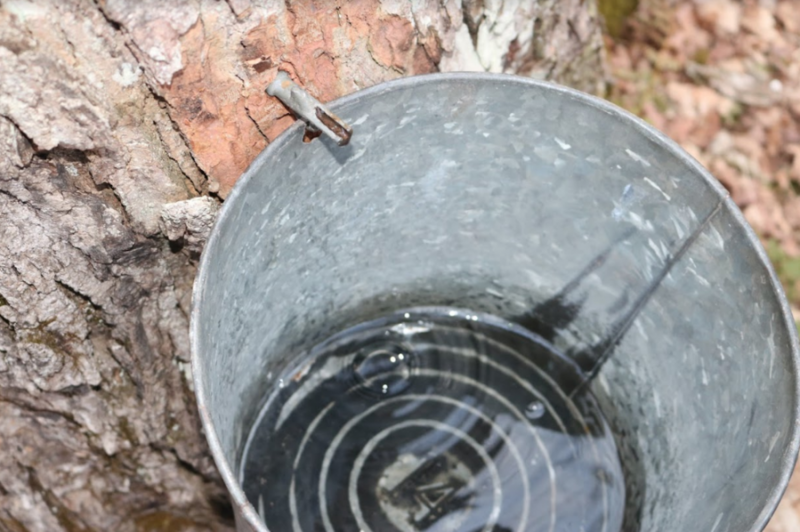 Time to tap the maple trees, collect their sap, and make batches of Mother Nature’s special sweetener — maple syrup. For most of the past 60 years, though, the Bishoffs were primarily dairy farmers. “We began dairy farming in 1958, when my dad graduated from high school. We still made maple syrup, but both dairy farming and making maple syrup are labor intensive, so we stopped producing syrup in 1992.” Changing economics have weakened the dairy market, and they sold off their dairy herd in 2018. Exploring new ways to keep the farm operating led them to grow commodity crops like corn, soybeans and hay, as well as going back to making maple syrup in 2018. They are probably the smallest producer in Maryland, bottling about 320 quarts of Lucky Man Maple Syrup last year and selling most of it via word of mouth. That could change as they look at the growing demand for maple-flavored products. Some food industry analysts say that maple is becoming a bigger seasonal flavor than the ubiquitous autumn taste of pumpkin spice. Raw sap has the consistency of water and is slightly sweet. 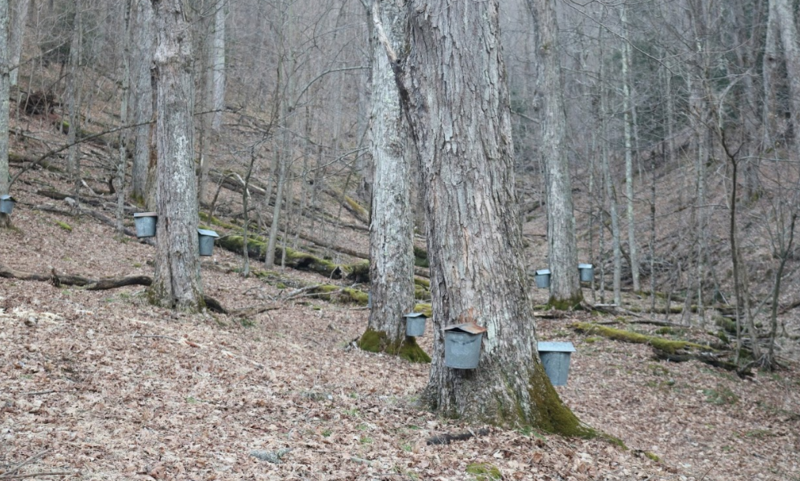 The time for collecting sap is short, from late-February until early April. Before that, the trees are hibernating and not producing sap. After the trees start to develop buds, the composition of the sap changes and it doesn’t produce palatable syrup. The process starts by drilling a small hole into a tree and slipping in a small spout, called a spile. 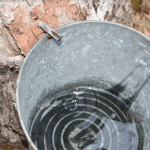 The clear sap runs through the spile and into a bucket. The sap is then boiled rapidly to evaporate the water. The longer it’s heated, the more concentrated and sweeter the syrup becomes. As the moisture evaporates, the syrup becomes darker. Heat it long enough, and it reduces into a granulated form, something like brown sugar. Syrup is ‘graded’ according to its color, with each color having a different intensity and culinary use. There are dozens of ways to use maple syrup in cooking. The Food Network has a recipe for maple-roasted bacon and Food Network Canada has 50 recipes for everything maple from cinnamon rolls to chicken to brussels sprouts. Great story. Would love to have more like this.